This is a unique feature which helps you to reach the boarding point from your place residence/stay/office. Every time we need directions, we refer to Google maps and this technology is simplified and is made live to you to get the best directions/routes to the boarding point from your place. Even though you are in new places, you are still assured to reach out to the new/unknown boarding points with this smart feature. 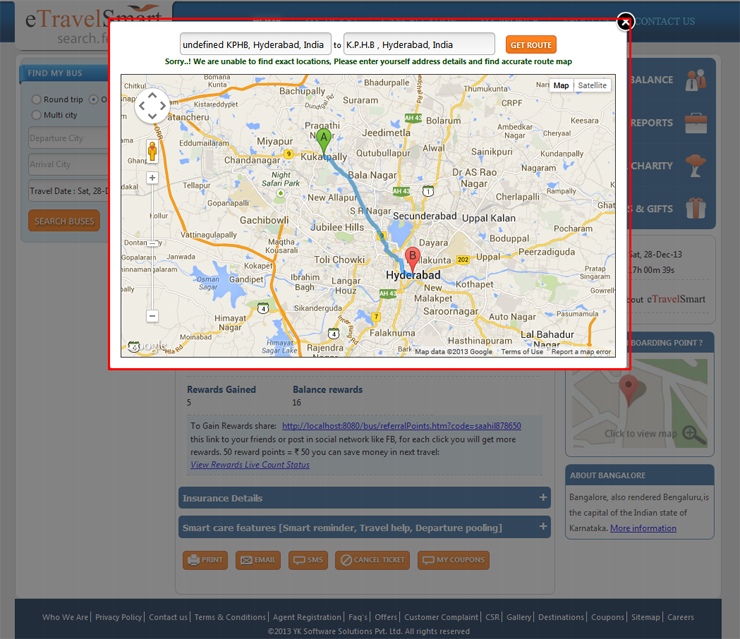 Get detailed direction to reach your boarding point with the help of Boarding Points Map. 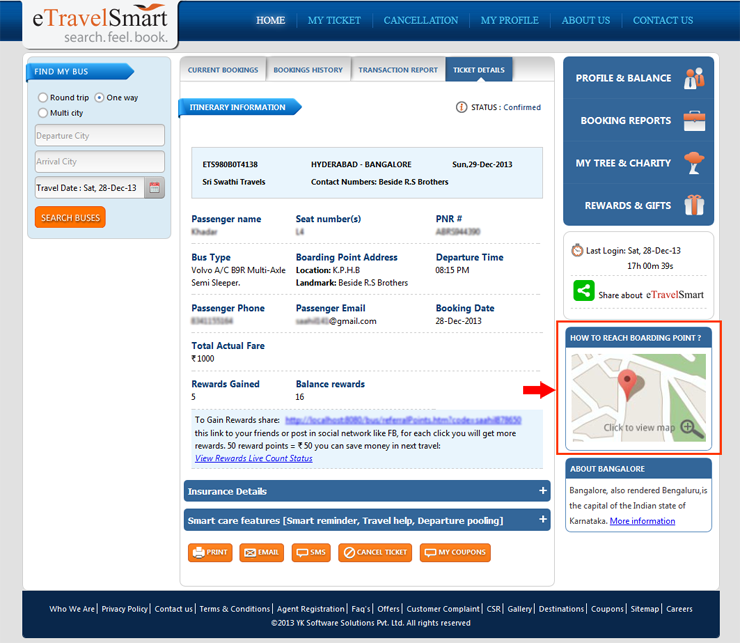 Access Boarding Points Route map in your live bus ticket in lower right corner.